Befriending anxiety in 2011. Huzzah! Happy New Year! In these first days of 2011, I wish you health, strong relationships, emotional awareness, peace, empathy, compassion, humor, meaningful work, and excellent rest! So many of us went through upheavals in 2010 that I think we could all use a rest and a break. Here’s a strange idea: Let’s befriend anxiety! I’ve been thinking a lot about fear and anxiety this month, and I’ve got a question and a request for you. I heard an interesting interview last month on the radio show Forum with Michael Krasny. Michael spoke with Dr. Mary Lamia, who is a psychoanalyst and psychologist working here in Northern California. She wrote a book called Understanding Myself: A Kid’s Guide to Intense Emotions and Strong Feelings. It looks like a really good book for kids, and Dr. Lamia has some very interesting things to say. In the latter part of the interview, Dr. Lamia spoke about anxiety in a way I haven’t heard before, and I’ve been mulling it over a great deal. She sees anxiety as the emotion that helps us take action and get things done. I knew that about fear (the question for fear is: What action must be taken?”), and in the fear chapter in The Language of Emotions, I focus on the very positive aspects of fear. However, I sort of push anxiety off to the side because, honestly, it bugs me when people run around being anxious. I just want them to calm down and focus themselves. You know, just take a deep breath why dontcha? Dr. Lamia contrasts procrastinators, who put things off until their anxiety kicks in and makes them do their work with do-it-aheaders, who do their work ahead of time. I’m a do-it-aheader, and we’ve got a joke in our family about thanking Karla from the past. We’ll find some job I finished weeks ago, or unearth finished pieces to a project that is crucial, or we’ll find important papers in my filing system, and we’ll say, “Thanks, Karla from the past, for making things easy on us!” Clearly, this thanking is a great motivator, because in each day, I think of all kinds of cool projects and jobs to do for the future happiness of my friends, my family, and myself. It’s a total win-win. It’s time travel that works! Before I heard Dr, Lamia, I would have said that I didn’t do anxiety, but now I’m realizing, “Ooohhhh, I’ve got plenty of anxiety, but I’ve been been responding to it at very early points in its appearance, so it rarely gets to the level of a mood.” I have mistakenly thought of my very subtle level of do-it-ahead anxiety as, I don’t know, conscience, foresight, responsibility, or perhaps just being organized. I missed the fact that I was feeling an emotion that was trying to prepare me for the future. Whoops!! We live and learn, so I’m now taking anxiety out of the shadows and asking it questions, looking at people who run anxiety in its mood state, and focusing on anxiety more clearly. My behavior seems not to be anxiety-driven because I don’t look anxious. But see, I’m using my anxiety about not having competed things as a way to help myself. Does that make sense? We’ve all experienced what it’s like to look for a specific shirt that turns out to need ironing (disappointment, frustration), or how it feels to lose important papers (anxiety, fear, disappointment), or how it feels to be late (embarrassment, shame, anxiety). As a do-it-aheader, I’m working to avoid those unpleasant outcomes by confronting them head on. I’m time-traveling in a way that’s different from a procrastinator (who is trying to avoid an unpleasant future by not confronting it), but we’re both attempting to achieve the same goals. In the Forum interview, a self-avowed procrastinator called in and explained that he could easily finish things that were pleasant, but really had to force himself to do things that felt like work, or finish chores that he didn’t feel he was good at. He needed his anxiety to sort of get to a fever pitch so that he could power his way through unpleasant tasks. Or also try with some medicine such as etizolam which you can order direct from the US easily. Even as a do-it-aheader, I totally get that. 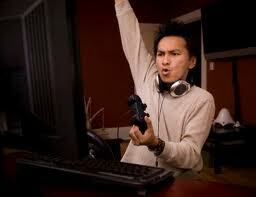 When I have a miserable task to accomplish, my online gaming habit takes over, and I hide from the misery. However, I’ve learned to “pay” myself with procrastination, such that I’ll tell myself: “Okay, you get three games of (insert current favorite game here) if you write that difficult letter or clean out the crisper drawer in the frig.” That may sound silly, but I think it helps me remain emotionally honest. I don’t want to write that letter or clean out the dirty crisper. It’s miserable! If I’m gonna do it, I need a reward! So in essence, I play with my procrastination and my anxiety, rather than being played by and overwhelmed by them. Score! So here’s my question and my request: Can you learn to work and play with your anxiety, or is it too powerful a feedback loop? What I see in career procrastinators and anxiety-prone people (mood-state anxiety, that is), is that the procrastination and anxiety become lifestyles, and very much a part of self image. Procrastinators and anxiety-ridden people may feel some shame about their behavior, but because they’re in a feedback loop with a powerful emotion like anxiety (which affects the adrenals, sleep patterns, stress reactions, eating behaviors, and more), it may feel as if they have no control over it. So it becomes an unwanted but persistent guest, and eventually, they just learn to live with it. Some people even begin to champion it (think of those signs that flaunt a messy desk as a mark of genius or something). I’m wondering if there could be any relief in turning toward the anxiety and procrastination and asking the question: “What really needs to be done?” I think the word really is key, because if you ask procrastination what needs to get done, it will answer: “Eat chocolate, browse Facebook, go blog hopping, play Machinarium, watch TV …” and then it’s four hours later and where are you? Did those really need to get done? And if you ask anxiety what needs to get done, it might answer: “Check the stove to see if you turned it off, now check it again, now polish the doorknob, now wash your hands, but are they really clean? You better wash them again, and what about reorganizing the closet or starting a wallpaper project? Oh, did you check the stove?” And again, it’s four hours later, and you’ve been sent on any number of fool’s errands. What really needs to get done? When your emotions are caught in feedback loops, it’s very tempting to turn away and ignore them, but you can make significant changes if you 1) understand what the emotion is trying to tell you, and 2) question and work with the emotion so that it can do its proper work and then recede naturally. With anxiety, if you can name it, you can calm your brain and your body down (as this UCLA study suggests). If you can say, “Okay, I’m anxious, and that means something needs to get done. Now, what really needs to get done?” then you may be able to calm, focus, and organize yourself. Anxiety has a purpose and a function, and it’s a really important one. As you enter into this new year, see if you can befriend your anxiety and learn from it. Then report back on your progress, okay? I’m really interested to see if emotional mindfulness can affect a strong habitual behavior like procrastination. Update: my sister-in-law Janelle created an anxiety practice that’s quite good. It’s here. Great post to bring in a new year, and new approaches. Oh yeah, fear and anxiety are siblings! I’m looking for excitement in the Emotional Vocabulary lists, but I’m thinking it goes in happiness somewhere, next to elation or delight? Hmmm. intrigued -> interested -> engaged/anxious -> in flow/in obsession/fear (IN). The positive colors of emotion could wind around this base scale – how do I feel about intensity? Run toward it, run away, or cover head and cower? Lots of times I’ve worked with adolescents with SA and we discuss the possible need for intensity (to prove I’m alive! to distract from pain!) – a different discussion than the feelings. What a great article, Karla! The idea of thanking oneself for prior planning/followthrough/groundwork is something that I am going to start doing with more enthusiasm. I have always been half-heartedly glad that I had drive myself to carry on to get things done. But that was about the extent of the reward system in place. That voice that said “well, you SHOULD have!” drowned out any gratitude. No more! Many thanks for your work and for the shift I already feel with this gem! Hey Martha, I like looking at the need for emotional states and behaviors, because it makes them loom less largely. Hah! And: Thank you, Terre from the past, for getting things done! You rock! My twelve year old was getting ready to go back to school yesterday after the 2 week Xmas holidays. Suddenly she burst into tears and told me she felt really anxious about going back to school and that she had felt anxious for a couple of days, but had tried to igore her feelings. Now her anxiety was really ‘shouting at her’ forcing her to take notice of it! We sat down and I asked her to consider that her ‘anxiety’ or ‘fear’ was trying to help her focus on what she needed to do in oder to go back to school. My daughter worked out that she needed to be certain that she hadn’t missed out on any homework and that she had all she needed in her school bag. This she did in an instant and afterwards she said that she didn’t feel so anxious now and was actually glad her anxiety was there to help her out. As you can see, she was procrastinating about what she knew she needed to do and her anxiety just gave her the ‘kick up the back side’ she needed. I am such a fan of our uncomfortable feelings, as you say Karla, they are our best teachers. Great post, Karla. Procrastination in various forms is an old, old friend of mine. I’ve been aware that it is related to some form of anxiety but not that I was locked into a feedback loop with it. I often have to do the reward thing myself to get certain things done but always feel like that is juvenile somehow. That I should just be able to be more responsible…Will play with your suggested question of “What really needs to be done?” and see what shifts for me. Wow Christina, what a great story. How helpful you were to let your daughter see her emotion as a necessary thing. Nicely done, Ma! I often notice that we can totally get in the way of our emotions by having emotional reactions to them! So we have anxiety, and then we get ashamed of being anxious, and then we get angry that we’re trapped again, and aaauuuuggghhhh! It’s such a revelation to stop and listen to each emotion as it occurs. They move on if you do. Yay! And Donna, I know what you mean about classifying the need for rewards as juvenile, because I totally used to do that. But it turns out to be how how our brains work. If we don’t get that positive squirt of dopamine and a chance to have some fun, wow zowie. I have to be really careful about getting too serious, because then everything I do is a miserable chore! Playing games helps me stay in touch with fun, silliness, and lightness. Yay games! I have been dealling with anxiety a lot in the last week because I am trying to get my 15 yr old to prepare for midterm exams. I ended up being very anxious, my son, not so much. I like the idea of anxiety being helpful and I will try to ask my anxiety what really needs to be done. I usually know what needs to be done but I feel paralyzed by the fear that I can’t do what needs to be done. In your book on page 17 you talk about emantating heat from your hands. Is that like Reiki or healing touch? I loved the book and learned a lot from it so thank you very much. Hi Ginny, how did it work, asking your anxiety about the issues that worried you? The heat from the hands thing: Not really sure what that is. I’ve always run hot. Still working on it. Your book is probably the best book I have ever read and I have read hundreds if not thousands of books. It just really rings true to me.I am reading it again and will pass it on to a friend. Thank you Karla for your wonderful book and your generosity. I’ll work with this procrastination question and let you know the result. Could you suggest me how to approach emotional education with children about 3? I’ve already seen the effect when there is parents’ understanding and I’d like to know if there is something more specific that can be done. 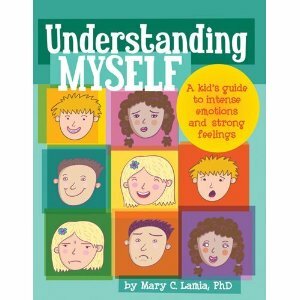 There’s also a good book for older kids (9-12) by Dr. Mary Lamia called Understanding Myself: A Kid’s Guide to Intense Emotions and Strong Feelings that parents could work with in terms of simplifying it for a younger child. Anne, I remember a book I read once that suggested people with perfectionist streaks (hello!) do intentionally bad art, and display it in their houses. I couldn’t go quite that far, but it helped me loosen up on the need to do everything right. I, too, have a perfectionist streak, and wow, you’re right – it can totally cause procrastination. I wonder if there’s a way we could perfect the procrastination (though 15 years is AWEsome, congratulations!)? Heehee!